What’s a girl to do with leftover watermelon cupcakes? Why, make watermelon cake pops of course! 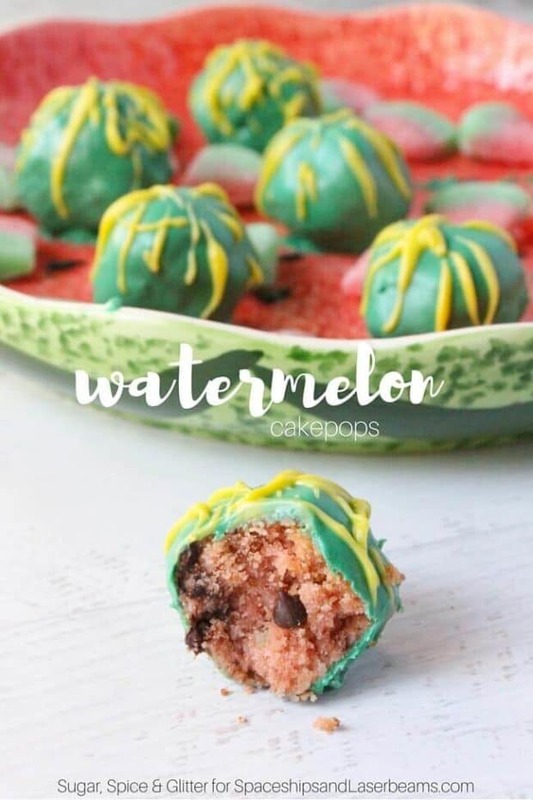 These little bite-sized pieces of delicious candy-coated watermelon flavor are sure to be a hit at your next summer get-together. 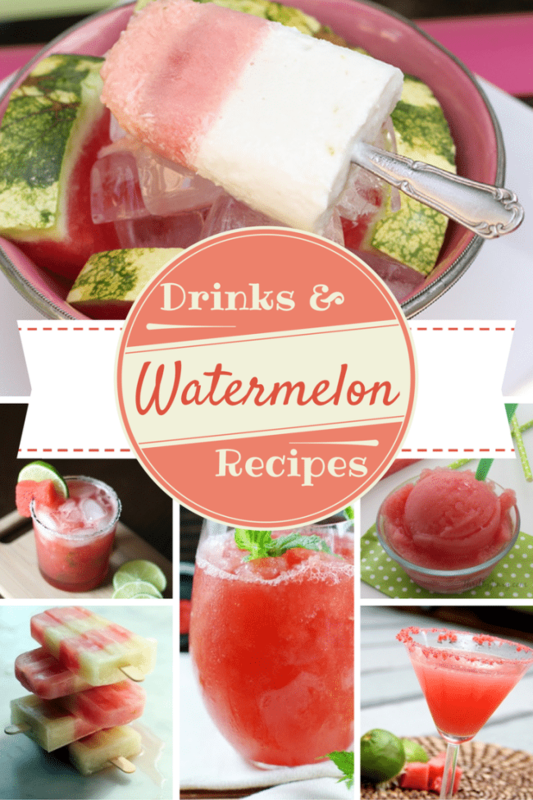 Keep the fun going all summer long with 14 Cool Watermelon Inspired Crafts. Dress up your ice cream cone with these printable Watermelon Cones. Now, you don’t have to make watermelon cupcakes first, but why not get double the desserts from one batch of doctored cake mix? 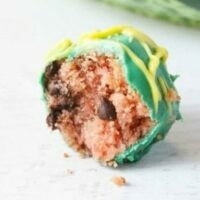 These cute cakepops are quick and easy to put together, and when you bite into the green candy coating you’re greeted with a lightly flavored pink cake sprinkled with chocolate chip “watermelon seeds.” I even had the kids help with a few of them and they didn’t turn out half bad. These watermelon cake pops look SO cute at a summer party – little bite-sized watermelons for your guests to indulge in. I sprinkled the tray with some cute sour watermelon candies to complement the sweet watermelon cakepops. Grease a cake pan (or line a cupcake tin if you're making cupcakes as well). Stir in the Watermelon Kool-aid packet and chocolate chips before adding additional red food coloring until you reach a pleasant pink color (you don't want a deep red). Bake cake according to package instructions. Allow the cake to cool as you prepare the frosting - this will help you roll the cakepops into balls. Mix the butter, icing sugar, salt, vanilla, and cream together to make the frosting. When the cake is cool, crumble it and mix in just enough frosting to be able to roll the cake-frosting mixture into balls. Lay the cake balls on a lined baking sheet and freeze for an hour or overnight. Before removing the cake balls from the freezer, melt the dark green candy melts along with 2 Tablespoons of the shortening in the microwave. Heat for 20 second bursts, stirring well in between each heating, until the candy melts are smooth and completely melted. 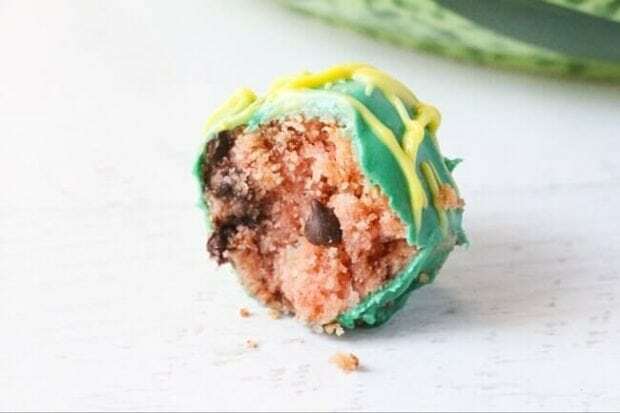 Dip each cake ball into the green candy coating and set to dry on the lined baking sheet. 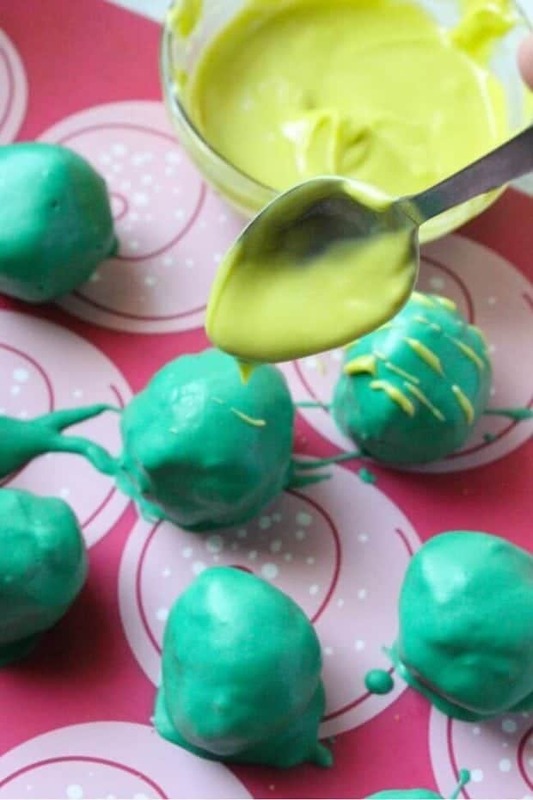 Once all of the cake balls have been completely coated with the dark green candy coating, melt the light green candy melts with the remaining shortening. 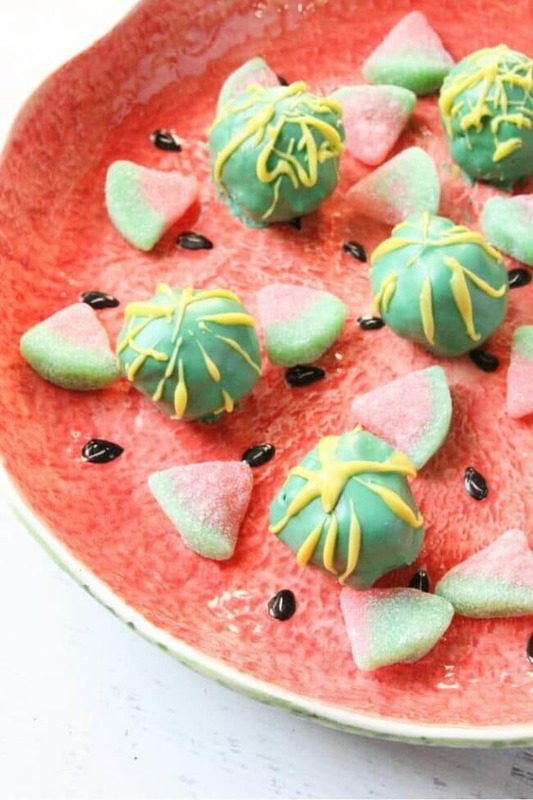 Drizzle the light green candy melt onto the cake balls to imitate watermelon markings. Allow to dry before serving. These watermelon cake pops are a fun twist on a classic BBQ treat and keep well for up to a week. Be sure to check out some of our other favorite barbecue desserts for more summer inspiration. One of my favorites. I love the watermelon theme.